Stay up to date on what's happening at Chops Lobster Bar. Join us every day from 5 p.m. to 7 p.m. for specially priced cocktails, wines & light bites. Enjoy three courses of our favorite dishes for $54. Menu available Sunday-Thursday. Beautiful Private rooms, delicious food, and attentive service make Chops Lobster Bar the perfect place for your next event. 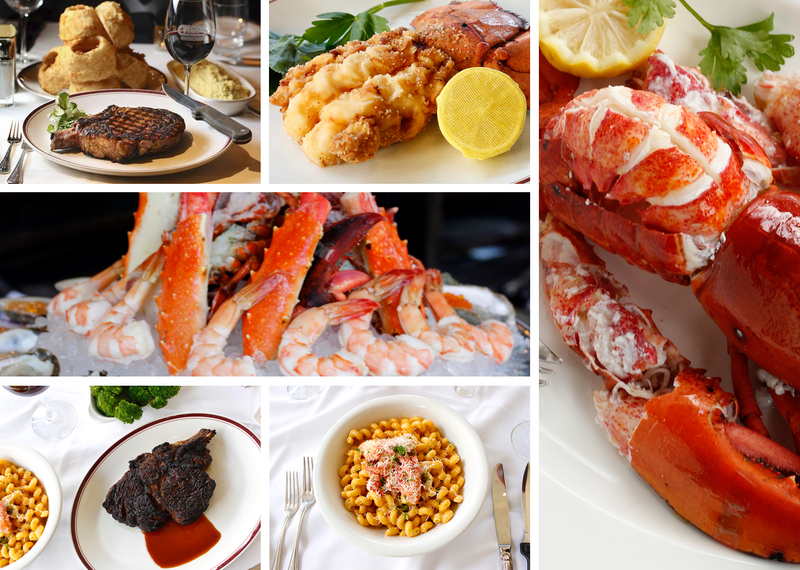 Chops Lobster Bar in Royal Palm Place is a true destination, offering Boca Raton’s best quality USDA Prime meats and a wide selection of pristine seafood. It boasts two levels: Chops, a luxe steakhouse setting, and Lobster Bar, a chic seafood bar with mosaic tile and extensive raw bar. The hip bar features live music and an extensive, award-winning wine list. Chops Lobster Bar in Royal Palm Place is a true destination, offering Boca Raton’s best quality USDA Prime meats and a wide selection of pristine seafood. "Every time I have received such a high level of attention and respect that I feel like a VIP. Every dish has been perfection—the quality, combination of ingredients, all perfectly prepared and beautifully presented. Definitely make it a priority to dine here when visiting Boca Raton." "Simply Florida's best restaurant. The ambiance, service, food and cocktails are always the BEST. Everything is prepared to perfection. Staff and management anticipate your every need. It's our favorite Florida restaurant."